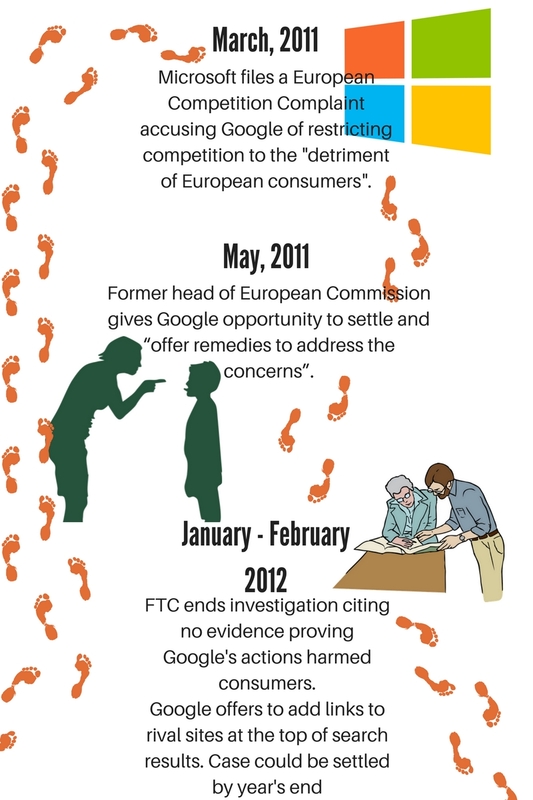 Google and the EC have had a colorful history, but the introduction of Margrethe Vestager definitely revved things up. 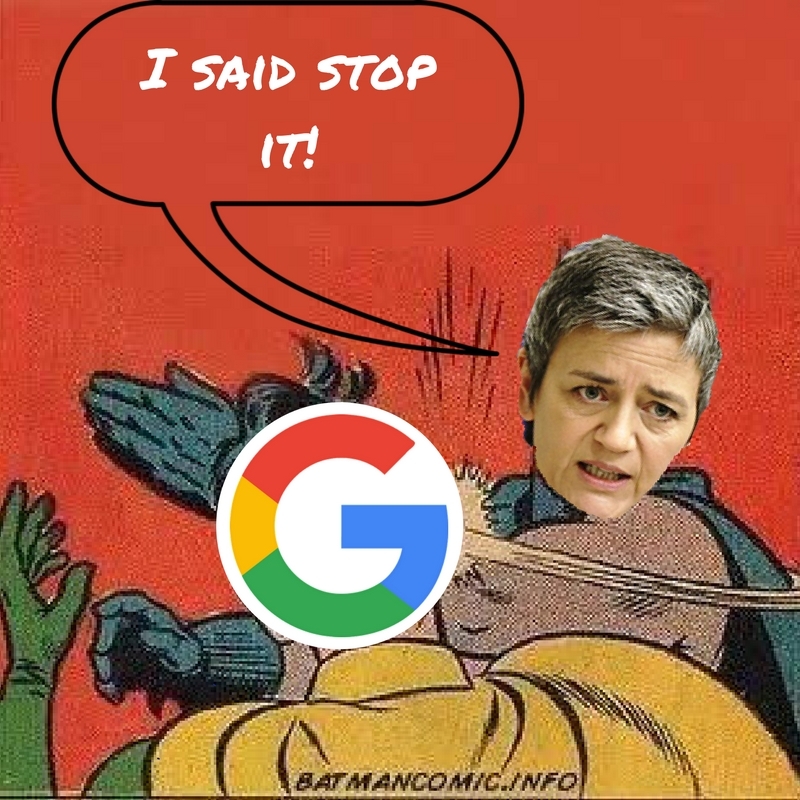 Since Vestager has taken the chair, three antitrust cases against Google have been filed in the past two years: they involve Google Shopping, Android, and AdSense. The tech giant could settle but that’s not likely. 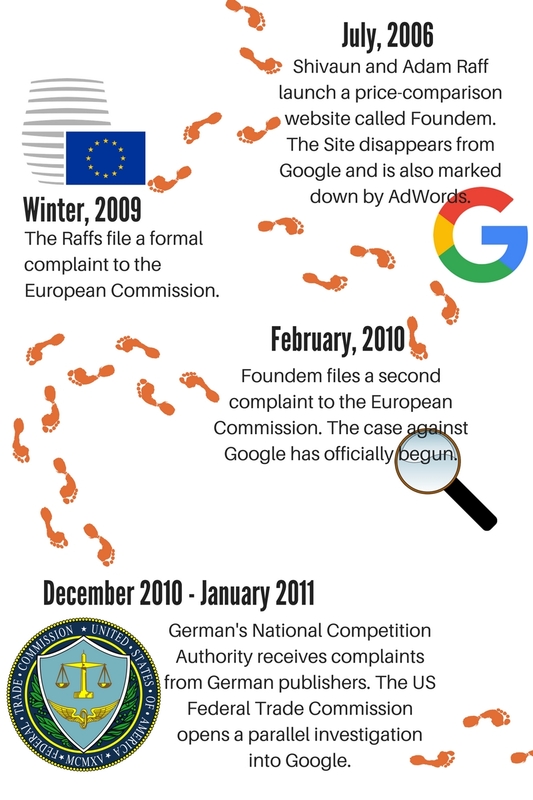 There is too much criticism brought by Google for a settlement to be probable and the European Union appears to want a legal precedent. 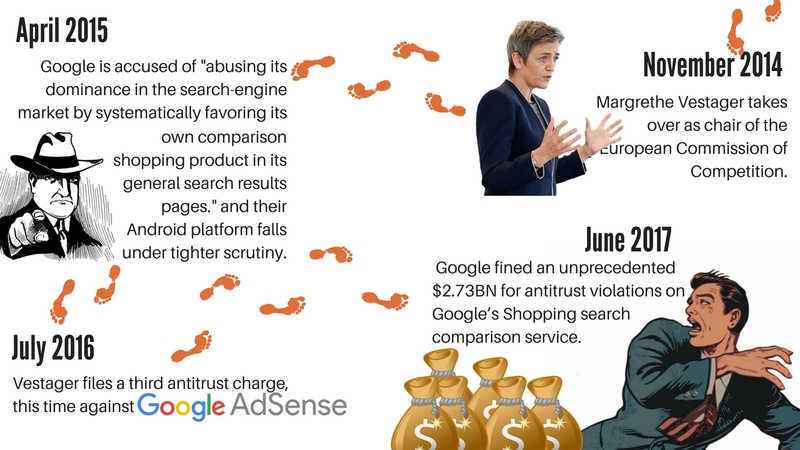 If Google loses this case (and in our opinion, it probably will), that would instantly cause concern for businesses advertising through Google on a global scale. 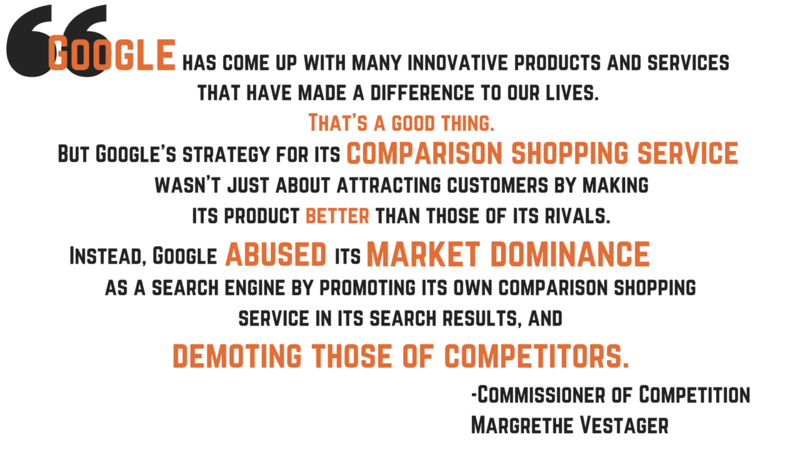 In the wake of Google’s pending loss, we could potentially see a much more competitive search engine market in Europe. Unfortunately, advertising firms will take a major hit, since online advertising is the cheapest type of advertising and is often the biggest source of income for advertising firms. However, other search engines, advertising platforms, and mobile phone platforms will enter the space that Google will have vacated. New research will have to be performed to understand the segmented markets for each search engine and how best to navigate them. 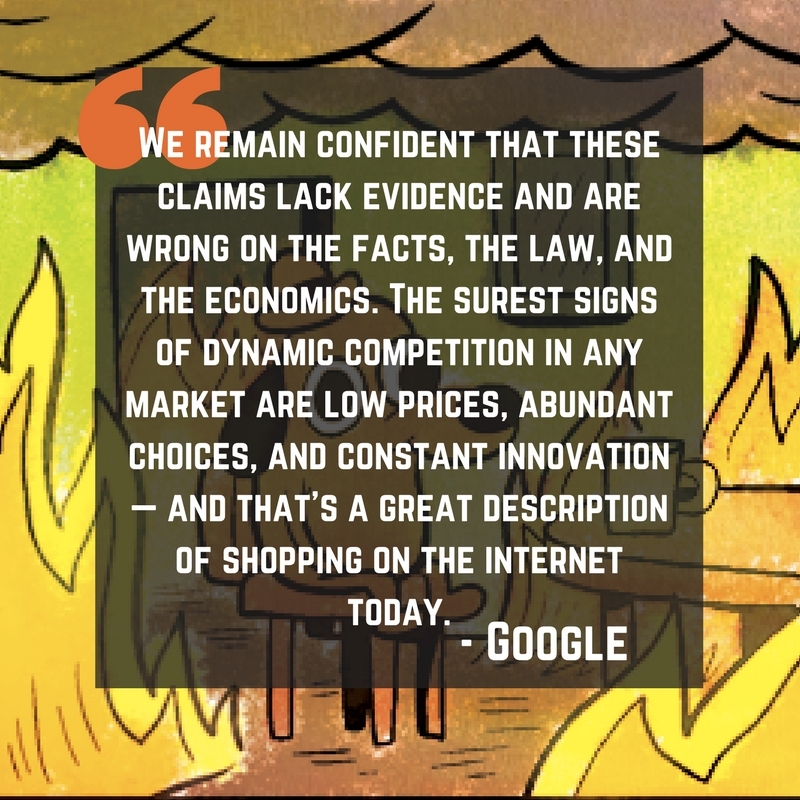 Or, none of that may happen: the new search engines, shopping tools, and smartphone apps could be duds. A search engine with Bing like relevance. Google accounted for 90% of search engine traffic worldwide, so expect to see some ripple effects in the industry. Also, 90% of European smartphones use Android as their OS. Google isn’t going anywhere any time soon. They (along with Facebook) are poised to make $106BN in advertisements in 2017. What was that fine again?